Is television a cultural wasteland, or a medium that has brought people more great art, music, dance, and drama than any previous media? How do we study and interpret television? What are the effects of television on individuals and society, and how do we measure them? What is the role of television in our political and economic life? 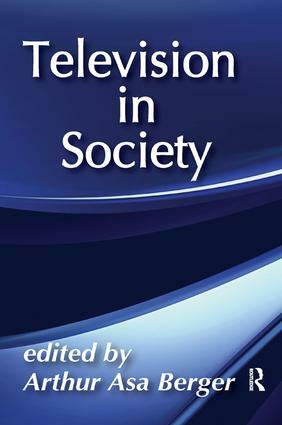 Television in Society explores these issues in considering how television both reflects and affects society.The book is divided into two sections. The first focuses on programming and deals with commercials, ceremonial events, important series (such as ""MASH"" and ""Lou Grant""), significant programs (a production of Brave New World on television), and the images of police on the medium. The second part of the book deals with important issues and topics related to the medium: the impact of television violence, values found on television, the impact of television on education, the significance of new technological developments, and the always thorny issue of freedom of the press. The articles are drawn together by a brilliant introductory essay by Arthur Asa Berger, who examines television as culture.